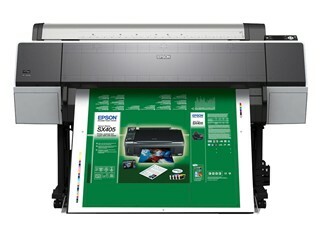 With the Epson Stylus Pro 4900, uncompromising quality is within reach. 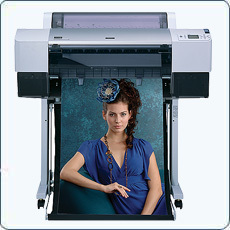 The compact, 17" wide printer includes Epson UltraChrome® K3 with Vivid Magenta Ink Technology, world-renowned for professional printing applications. This, combined with an advanced MicroPiezo AMC™ print head, enables the Pro 4900 to produce gallery-quality color and black-and-white output up to 17" x 22". The printer's industry-acclaimed ink set delivers a phenomenal color gamut with breathtaking blues and violets. All-new AccuPhoto™ HD2 technology provides smoother color transitions and better highlight and shadow detail for prints with a true photographic look. 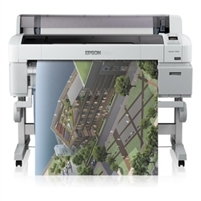 Exceptional print quality and professional media support - the Epson Stylus Pro 4900 makes it all possible. Epson UltraChrome K3 with Vivid Magenta Ink Technology is a professional, 8-color ink set with advanced magenta pigments that provide more dramatic blues and violets for an impressive color gamut. Its three-level black technology delivers richer blacks, outstanding tonal range and an unprecedented gray balance, all of which ensure outstanding black-and-white prints. Built on Epson's heritage of professional ink technology, this pigment ink set offers instant color stability. 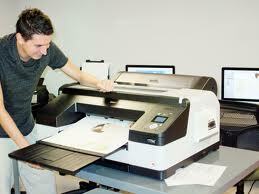 Colors stay consistent, whether viewed right out of the printer or decades later. With Epson UltraChrome K3 with Vivid Magenta, you get print quality and longevity that satisfies the most demanding professional.